Driving directions : Anguk Station (Subway Line 3), Exit 3. Jongno 3(sam)-ga Station (Subway Line 1, 3 or 5), Exit 7. Go straight along Donhwamun-ro Street for 10min. 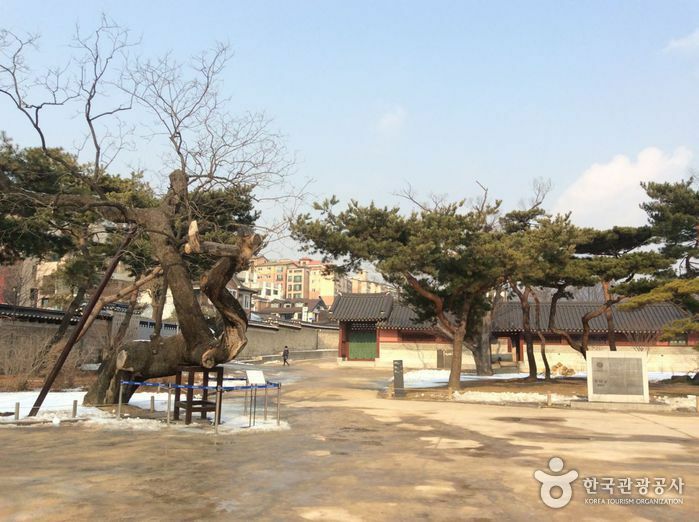 Hyangnamu or 'Aromatic Tree' in Changdeokgung Palace is estimated to be about 700 years old, meaning it had likely been planted before the palace was built. 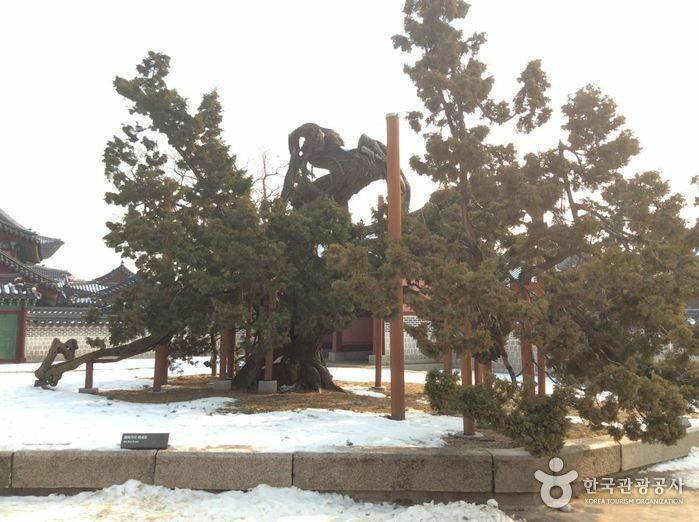 It stands 12m in x_height, measures 5.9m in girth around the roots, and has branches spreading in all four directions. It is designated and protected as a National Natural Monument.